And so that’s it.. the show has officially been cast! After a fantastically high standard of auditions on the 10th and 11th of September, SMP’s “The Little Mermaid – Panto 2018” is well under way!! Monday night was the night everyone had been waiting for.. “The Phone Calls” – after the last audition has been completed, many of the “potential” cast gather at the local pub to await their fate.. I mean Phone call! This has become somewhat of a tradition within SMP, everyone supporting each other and being so excited to find out who got what part. First rehearsal on Wednesday went off with a bang! Full of fun and crazy antics! The cast were introduced to each other through a set of “Ice Breaker” games, where we had a “Mermaid-Off” catwalk!! The cast were given a few bin bags and a roll of tape, then challenged to dress a nominated person up as a mermaid. Then we had our first cast read-through of the fantastic script which has been written by Warren McWilliams. I have to say, this is quite possibly the best script I have had the pleasure of being apart of since being with SMP, and what a script it is for my first “Directorial Debut” it’s full of witty one liners and great comical shenanigans!! 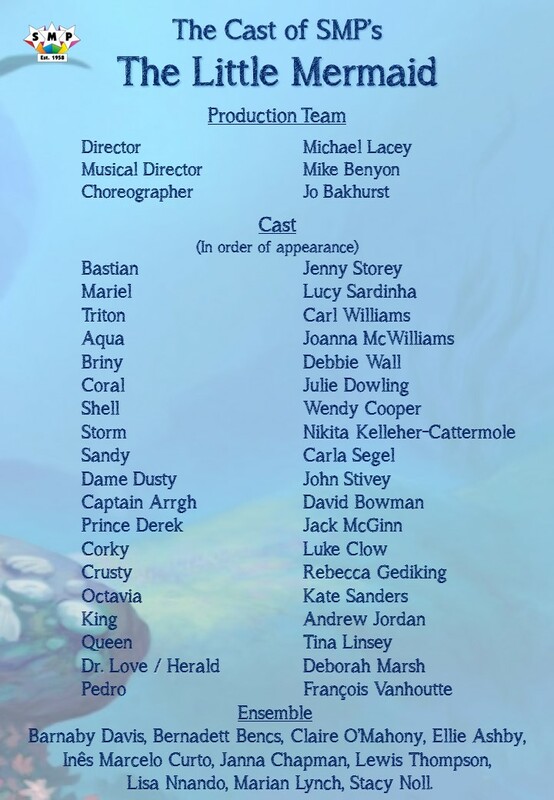 I can’t wait to really get into full on rehearsal mode, with the cast we have being so packed full of talent, you sure are all in for a FINtastic show!! Be sure to book your tickets now to avoid disappointment! !